A newsagent sent to prison for molesting his young female employees has failed in a claim that the sheriff who heard the case was biased. Tariq Chaudhry (59) was jailed for nine months in November after being convicted on three counts of lewd behaviour. 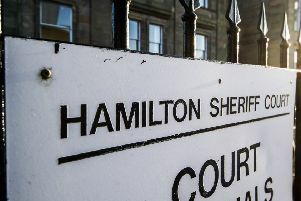 Hamilton Sheriff Court heard he ran Darrochs newsagent in Main Street, Bothwell. He was found guilty of making remarks of a sexual nature to three girls, all aged under 16. Chaudhry, of Glasgow, was also convicted of molesting two of the girls and causing them to view images of a sexual nature. The offences happened between 2005 and 2008. Chaudhry argued the convictions should be quashed as he wasn’t given a fair trial. He referred to remarks made by the trial sheriff when the first young witness had finished giving evidence. The sheriff thanked her and said she had been “very brave” in giving her evidence. Chaudhry’s lawyer claimed the remark would “create a suspicion in the mind of the reasonable man that the sheriff was not impartial”. However, the Crown dismissed that view, saying an observer would instead view the comment as “an attempt to comfort a witness who had been distressed when giving distressing evidence of a sexual and very personal nature”. Throwing out Chaudhry’s appeal, Sheriff Principal Mhairi Stephen said the comment was likely to relate to the stress the young woman suffered in the witness box. She added: “The accused and his solicitor were present when the remark was made yet no objection was made at the time nor in submissions at the conclusion of evidence. “That is yet another factor which the fair-minded and informed observer would have had regard to.